Brassica oleracea is a tall, biennial plant that forms a stout rosette of large leaves in the first year. 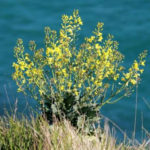 The leaves are fleshier and thicker than other Brassica species, an adaptation that helps it store water and nutrients in its difficult growing environment. 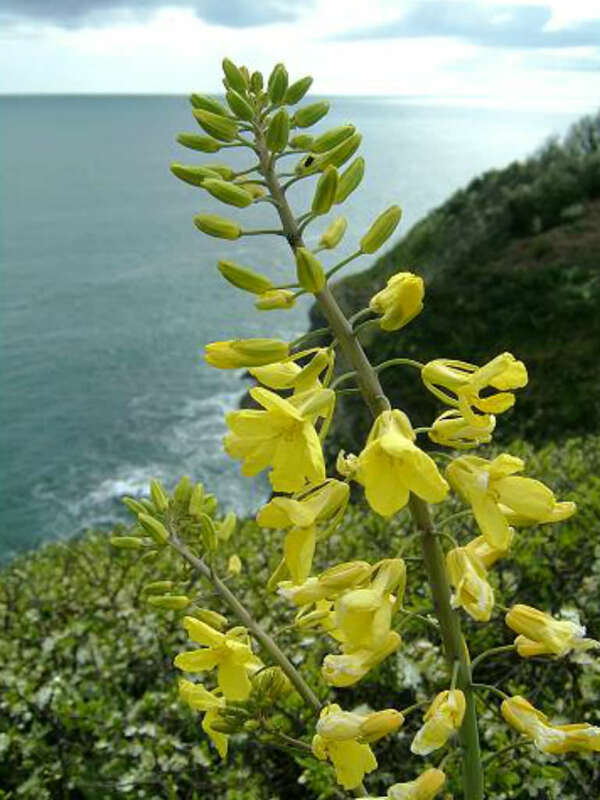 In its second year, it uses the stored nutrients to produce a flower spike, up to 7 feet (2.1 m) tall, with numerous yellow flowers. USDA hardiness zones 6a to 9b: from −10 °F (−23.3 °C) to 30 °F (−1.1 °C). 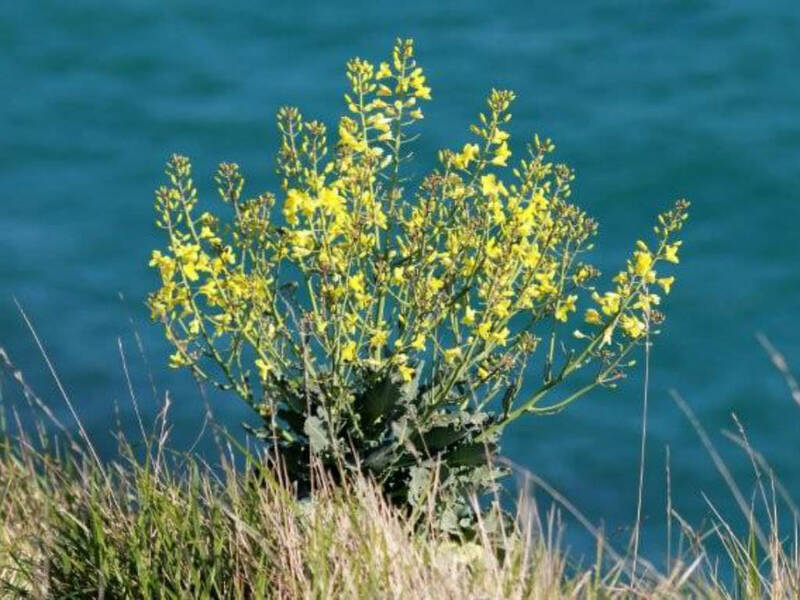 Wild Cabbage can be grown like any other cabbage. Sow the seeds in the spring in pots or directly in the ground. These plants don’t have to be grown half way up a cliff to thrive and actually do well in most garden soils. They are biennial and so flower and set seed in the second year. Thereafter they can more or less be left to their own devices and treated as a hardy perennial. It is often found wild by the coast and tolerates considerable maritime exposure. 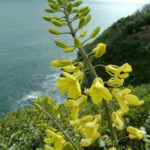 This species has long been cultivated for its edible leaves, stems etc and a wide diversity of forms have been developed, including cabbage, cauliflower, broccoli and Brussels sprout. Most of these forms are biennial in cultivation, though there are also some perennial forms. 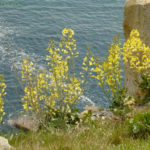 Wild Cabbage can be used as a cut-and-come-again plant. The leaves and stems are edible raw but only use the younger stems as the older ones become very tough. The leaves and stems are really good for sauerkraut. 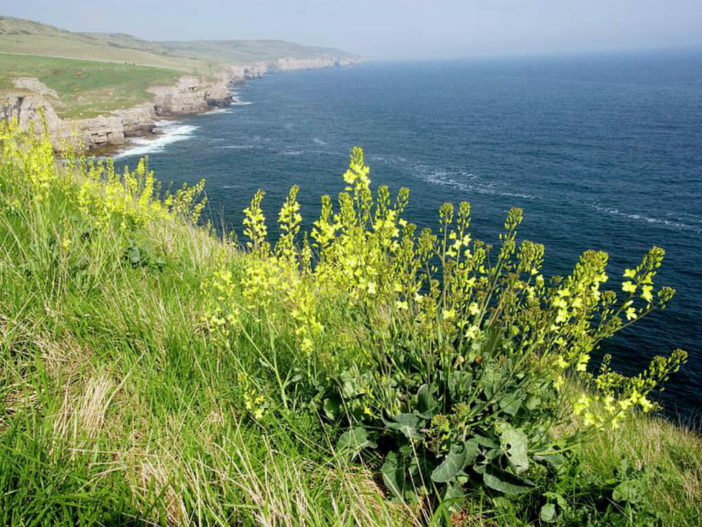 The flowering heads, which look like broccoli, are also edible raw and are good for salads. The seeds, like any other cabbage, can be used for sprouting. 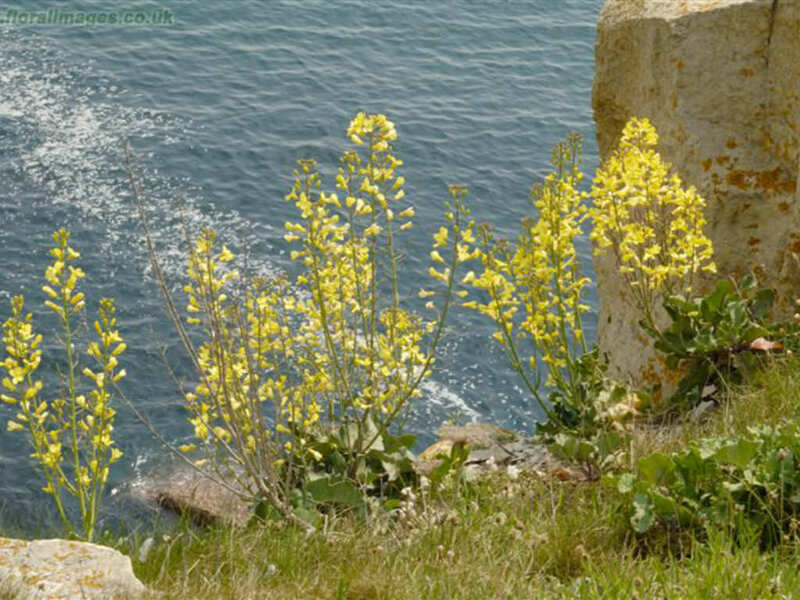 Brassica oleracea is native to coastal southern and western Europe.